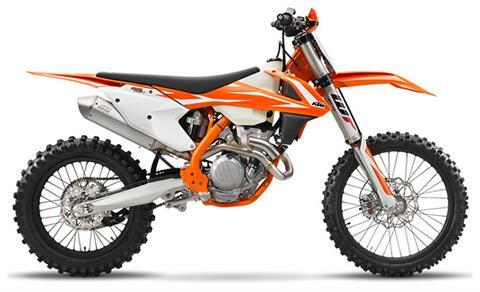 With power that rivals 450 cc machines and 250-class handling, the 2018 KTM 350 XC-F is a force to be reckoned with in any closed-course off-road contest. A compact engine cranks out unbelievable amounts of power while traction control, launch control and selectable maps make all that power useable. Updated suspension damping settings and refinements to the clutch and transmission take the KTM 350 XC-F to a level that other 450-class off-road bikes have trouble matching.